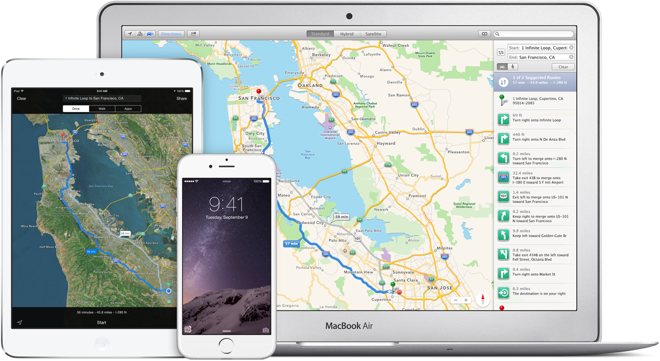 Apple has been deploying vehicles in the US to gather images and data for its Maps service and now it’s bringing the programme to the UK and Ireland. The Guardian reports – clearly based on information from a well-placed source – that Apple is about to launch a page on its website detailing the locations the cars will visit in Britain and Ireland. The vehicles will be travelling the East of England (Essex, Hertfordshire), Greater London, the South East (Kent, Surrey) and the West Midlands (Birmingham, Dudley, Sandwell, Solihull, Staffordshire, Walsall, Warwickshire and Worcestershire) in the UK, and throughout Dublin and Leinster in Ireland. The last section makes it clear that the project will involve taking photos, rather than simply grabbing data, all but confirming that Apple has a Google Street View competitor in the works. We’ll update this story when the Apple page is live.